Let the milk cool to 110 degrees. The jar needs to stay warm for about 8 – 10 hours while the cultures do the work. Around 100-11o degrees. We like the YoLife Yogurt Machine ( we sell them in the Market on the Farm) because you can do large batches in wide mouth quart jars. After the yogurt has thickened, cool the yogurt in the fridge and enjoy! -Put the jar inside the oven with the oven light on. -Put the jar inside a cooler, and fill the cooler with hot water or put a towel around it to insulate. 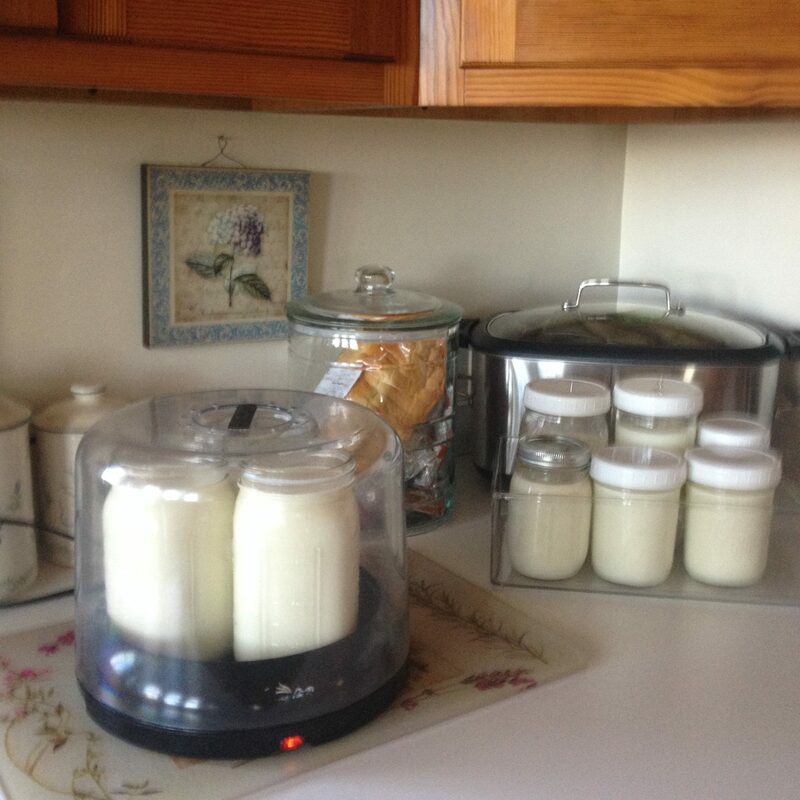 -Buy a yogurt maker which will keep the jars warm. -A woodstove with a warming shelf works great too.